The other day, my neighbor’s dog darted out the front door and chased a young boy on a bike. She ended up biting the child’s foot, fracturing two of his toes. The dog now faces a mandatory 10-day Rabies quarantine and possible euthanasia. Sadly, the whole situation could have been avoided if her owners had provided the intervention, correction, and training to break her dangerous habits. As much as we love our dogs, there is no such thing as a “perfect” pooch. Dogs make mistakes and it is our job as their guardians to prevent their habits from putting them – or others – at risk. Read on to find out why these dangerous behaviors develop and what you can do to help your dog overcome them. They “explore” the world through chewing. Chewing may be caused by anxiety. Chewing feels good for dogs. Even when they have plenty of bones and chew toys to choose from, they may still go after sticks, pine cones and leather shoes because the texture is appealing to them. They enjoy the taste and/or smell – especially when it comes to stinky human items. The problem with chewing inappropriate items goes beyond the destruction of your personal property. Dogs that gnaw on socks, blankets, carpeting, shoes, garbage, etc. are at risk for life-threatening issues like choking, intestinal blockages, and even poisoning if they get into toxic foods or household chemicals. 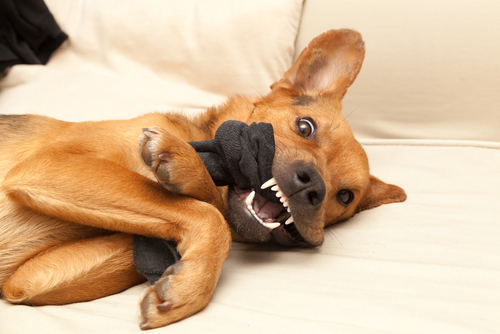 You can help protect your dog by keeping hazardous items safely out of reach. Unfortunately, much like our dogs, humans aren’t perfect. Kids may leave tempting toys and laundry on the floor. Busy adults may forget to secure the household trash. For these reasons, all dogs should be taught the “leave it” and “drop it” commands. It could save their lives if you catch them with something dangerous. Some dogs bolt every time they see an open door or a chance to dig under the fence. Whether motivated by separation anxiety, reproductive instinct, or simple wanderlust, escape artist dogs face several risks such as becoming lost, getting hit by cars, or causing physical harm to the humans or animals they interact with while loose. To protect your dog from the dangers of the world, veterinarians recommend spaying or neutering to curb their instinctual drive to search out a mate. They should also receive obedience training with a heavy focus on the “stay” and “come” commands to lessen the risk of escape. Owners are encouraged to “own the door” by teaching one of several methods that prevent dogs from exiting the home without permission. Some trainers recommend teaching the dog to sit and stay when the doorbell rings. Others suggest training them to go to their bed and lay down when the door opens. If you are not comfortable with your training skills, hire a professional to help you. Some dogs try to escape because they are bored and crying out for more mental and physical stimulation. As pack animals, dogs are not satisfied with being let out in a fenced backyard by themselves. They crave companionship, interactive play, and the new sights and smells they find on walks and excursions. Try devoting 20 minutes a day to doing something your dog loves – whether it be jogging together, tossing a ball, or simply cuddling up on the couch. Highly intelligent or active pups may benefit from puzzle toys, agility training, or a professional dog walker to break up their day. For dogs that dig under or climb over fences, there are several products and techniques to help keep them safely confined. Like all pets, escape artists should be microchipped. It greatly increases the chances of getting them home safely should they become lost. Mouthing and nipping are normal behaviors in young puppies, especially those separated from their mothers and littermates too early. Pups learn how much nipping is acceptible during play with their siblings and reprimands from their mama. Without this step in their development, many dogs struggle with boundaries. Mouthing and biting are often associated with play behavior. If this is the case, try letting out a yelp when your dog nips. If he immediately stops, praise him and/or provide a treat. Being consistent in repeating this technique should help your dog learn that biting is unacceptable. 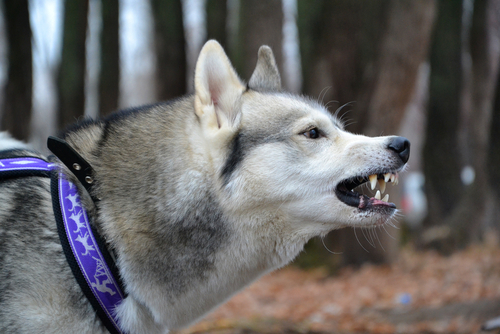 More serious bite cases may be related to pain, fear, or aggression. If your dog has never had a problem with biting or aggression, see your vet to rule out pain as the underlying cause. Perhaps your dog has a sore tooth or has developed arthritis. Fearful dogs tend to do everything they can to remove themselves from an uncomfortable situation before snapping as a last resort. If your dog struggles with fears and anxieties, desensitization training is essential for rehabilitation. Check out this post for the dos and don’ts of rehabbing a fearful dog. Truly aggressive dogs are the most dangerous to themselves and others, especially large breeds. Not only are they more menacing looking, they can inflict far more damage than smaller dogs should they bite. Big dogs and those considered “aggressive breeds” are also more likely to be euthanized after a bite incident than their smaller cousins. The National Council on Pet Population Study and Policy (NCPPSP) found that 3% of owners relinquishing their dogs to shelters cited biting as the primary cause. In fact, it was the only behavioral issue to make it into their “Top 10 Reasons for Relinquishment.” Dogs with bite histories have very little chance of being adopted once turned over to a shelter, usually joining the 56% of shelter dogs that are euthanized each year. If you are dealing with an aggressive dog, do not try to rehabilitate him yourself. Seek help from a veterinary behaviorist or professional dog trainer. 4. Chasing Cars, Bikes, Joggers, etc. 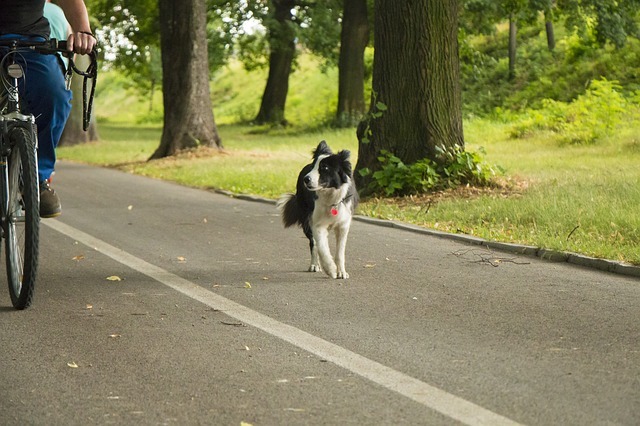 In addition to the risk of being hit by a car, dogs that chase after vehicles, bicycles and joggers are more likely to harm a human being. Like my neighbor’s dog, these pups are at risk of being branded “dangerous” or even euthanized for public safety. These dogs should be kept on a leash at all times outdoors, and the techniques listed to keep dogs from bolting out the door and escaping from fenced yards should be utilized to prevent them from getting loose. Curbing their desire to chase requires strong leadership. Trainers recommend modifying the “sit” command to get the dog to turn his body towards you as he goes into the sit. This keeps the attention off of the moving target and on you, the leader. 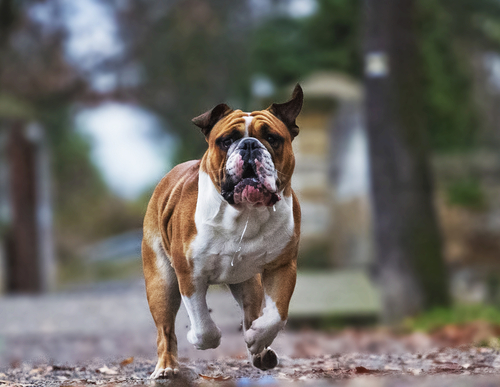 Once your pooch masters the turn and sit, you can practice breaking his attention off a moving object by asking friends or family to ride or jog by. 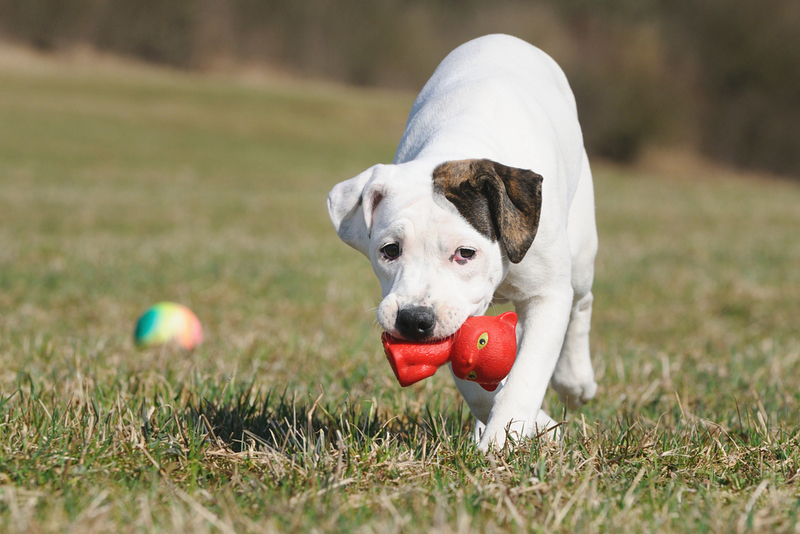 Resource guarding is the term behaviorists use to describe dogs that act extremely possessive of their toys, bones, treats, beds, or favorite humans. This behavior can be especially dangerous if you have small children or other pets in your home. Simply touching or passing by a desired object can spark a vicious attack from a resource guarder. To recondition a resource guarder, Bennett recommends working with a professional trainer to exchange valued objects for positive rewards like treats.